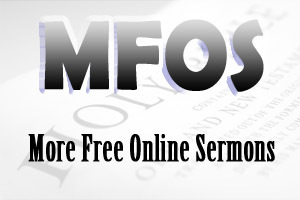 Bible Sermons From 2 Timothy 1 provide a deductive sermon from 2 Timothy 1:1-18. This sermon teaches that rekindling the spiritual fire within is important to keep the passion for God alive. Bible Sermons From 2 Timothy 1 present a deductive sermon from 2 Timothy 1:1-18 in which Paul encouraged his protege to stir up his passion for God by rekindling the spiritual fire within. INTRODUCTION: Some people love camping—I have not worked out why people would love camping, especially when you read some horrendous stories about camping. And I have read some horrendous story about camping. When I read these stories, I wonder why would people go camping? For some reason, it will be fine—beautiful weather. Then you decide to go camping, and all of a sudden wet weather sets in. How many times have you gone camping and wet-weather set in? If you go camping on the beach, it doesn’t matter where you go, you cannot escape the sand, sand in your tent, in your sleeping bag, on your plate, in your cup, in the shower, and in the toilet—that’s if you have one. Don’t get me wrong. I do like the beach except for the sand and water. As you can see, I am not much of a beach camper. Nevertheless, there is one aspect of camping I really do like. After the tents and campsite have been set up and as darkness begins to engulf the campsite, usually someone builds a fire, which usually turns into a bonfire. You know, there is something magical about a bonfire at a campsite. As that initial spark turns into a roaring fire, it’s able to draw people around it with laughter, stories and great times of fellowship. The heat and light from the fire radiates throughout the campsite. There’s something magical about that. However, as time passes, the flames tend to die down so someone needs to re-stack the fire again with more wood and once again the fire is blazing, radiating its heat and light throughout the campsite. You know, our Christian lives are a bit like a bonfire. We can be on fire for God (radiating Christ to those around us), but over time if we don’t rekindle the fire or keep it blazing, the fire within us can dim. Our desire to serve God can wane. Our desire to follow God can waver. Other things will take priority; and before we know it, we have lost our way. It seems that Timothy’s spiritual fire had cooled—this young man who came to Jesus Christ through the preaching of the great apostle Paul, this young man who served alongside of Paul in several missionary journeys, this young man who led the historical Church at Ephesus, it seems that this young man’s spiritual fire was wavering. It hadn’t gone out, but it was seriously wavering. But the apostle Paul was not willing to give up on his young protégé. This young man whom Paul led to the Lord, this young man who worked alongside of him, Paul was not willing to give up on him. Paul would have loved to have seen him personally (1:4a) but it seems Paul was under house arrest. So, Paul wrote to him and encouraged him to rekindle the spiritual fire within. Timothy was struggling but his faith was genuine as we read in verse 4, “When I call to remembrance the genuine faith that is in you, which dwelt first in your grandmother Lois and your mother Eunice, and I am persuaded is in you also.” His faith was genuine and his struggles were genuine. But the problem was that he allowed his struggles to affect his fervor for God. So Paul encouraged Timothy to rekindle the spiritual fire within? Therefore, Paul gave Timothy several pointers in which he could rekindle the spiritual fire within. The Bible reminds us that we all have a spiritual gift (1 Peter 4:10). Timothy’s gift was preaching. He was a preacher (a proclaimer of Jesus Christ) and his gift of preaching was confirmed at his ordination when Paul placed his hands upon him and prayed for him. So Paul encouraged Timothy to rekindle afresh his gift of preaching. It seems that Timothy lacked confidence, and this lack of confidence brought fear into his life and ministry. And this fear dampened the fire within. When we share the gospel of Jesus Christ, people will not always accept it. In fact, some people will give you a hard time because you are a Christian. Some people will be just down-right hostile to you. However, Paul said to Timothy that you must accept this as part of the gospel. People will misunderstand you. People will be hostile toward you. But don’t be ashamed of the gospel because of this. God has saved us through the Lord Jesus Christ but also God has called us to a holy calling according to God’s purpose and grace. Look at verse 11 and the beginning of verse 12, “To which I was appointed a preacher, and apostle, and a teacher of the Gentiles. For this reason I also suffer these things.” The apostle Paul never forgot that God appointed him a preacher of the gospel of Jesus Christ. No matter what happened Paul would continue to proclaim Jesus as the way, the truth, and the life. In fact, Paul faithfully fulfilled his Christian duty even though he suffered persecution, imprisonment, hostility, brutality, and loneliness. You know, Timothy could learn a lot from Paul’s life and ministry. In fact, Paul’s life and ministry is an example to us all. Paul knew for certain that whatever happened there was nothing to worry about. His life and ministry was in God’s hands. Paul’s security in life was God. He completely trusted in God. This inspired Paul to passionate and service for God. One of the greatest inspirations to our passion and fervor for God is His word. If your spiritual fire is wavering, read and obey God’s word. There are some people who will dampen your desire to serve God and there are other people who will inspire you to serve God. In other words, choosing Godly friends may make you or break you as a Christian. Times have not changed. It’s still the same today. Your associates will either inspire you to serve God or dampen your desire to serve God. Don’t let your passion for God die. Keep rekindling the spiritual fire within.